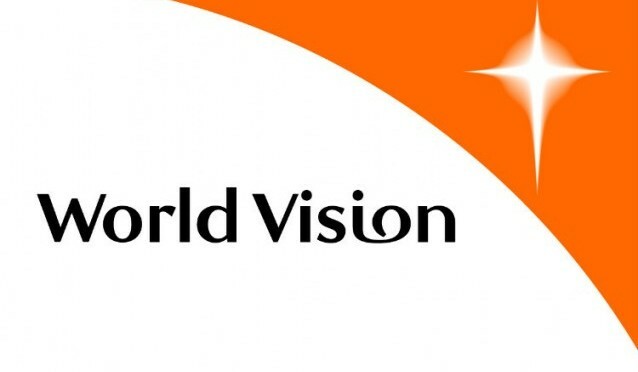 Last week, progressive evangelicals (no, that’s not a contradiction in terms) were elated when World Vision announced that they would no longer discriminate on the basis of sexual orientation in their hiring practices. What’s not to be thrilled about, right? I mean, a major evangelical organization with a history of treating LGBTQ people as second-class citizens had seen the light. Then, the evangelicals decided to rain on our parade. They rose up en masse and, in righteous anger, began to cancel sponsorships. And, World Vision caved. When that happened, many people felt shocked and betrayed. And, I’m not sure why. Maybe that’s because I was more shocked by the initial announcement than the retraction. Like a lot of evangelical groups, World Vision hasn’t exactly been what you’d call progressive, especially when it comes to LGBTQ issues. So, when CEO Richard Stearns said the organization would hold all employees to the same standard regardless of their orientation, that was a shock. Changing it 48 hours later? That wasn’t just unexpected, it was almost a given. Especially when you consider that thousands of sponsorships were dropped (I have heard a more exact number, but I can’t corroborate it). A wise man once told me, “The driving force of any organization, no matter how altruistic its aims may be, eventually becomes the perpetuation of the organization” and this is an excellent example of that statement. As for feeling betrayed? That requires a certain trust and/or confidence. Since they reversed their decision so quickly, there wasn’t time to build any. It didn’t hurt that I’ve never been a fan of World Vision or most of the other child sponsorship groups. I don’t care for them because they’re selling cheap grace. Oh, it may not follow the template Bonhoeffer set out in The Cost of Discipleship word for word, but it’s still cheap. It’s cheap because it’s grace without any real commitment, grace without relationship. It does have one thing in common with Bonhoeffer’s description, however; it is “grace sold on the market like cheapjacks’ wares”. Think I’m wrong? Look at how it works: send a check once a month, write a few letters and you get to feel like you’re making a difference in someone’s life. You never meet them, never get to know them and never really see them as a living, breathing human being. The hardest part of the whole thing is dealing with the carpal tunnel syndrome you might get from the extra writing. The truth is, World Vision isn’t really about the kids they help, it’s about the people providing the help. Face it, many supporters are in this to make themselves feel better. They feed the hungry, care for the sick, house the homeless, etc so they can “go to heaven”, or some other selfish reason. And, they do it through organizations like World Vision so they don’t have to get their hands dirty and associate with those people. Am I being cynical? Probably. Does World Vision do good work? Undoubtedly. There are a lot of children who benefit from what they do. But, they do it by appealing to what I call “least” Christianity. As in, “what’s the least I can do and still follow Christ”. If you want to feel betrayed by something World Vision has done, it should be this. Last week was just a leopard trying to change its spots.